March 16, 2019 – "The Home of Organic Golf Reviews"
CAMARILLO, CA, March 14, 2019 – Sacks Parente Golf Company, builders of exceptional putters that defy convention, announces that Mike Zerah has joined the company as Executive Vice President of Marketing where he will focus on matching the Sacks Parente brand with the exceptional quality of its products. Zerah comes to Sacks Parente with 12+ years of marketing experience, specifically in brand development. He’s helped some of the world’s leading brands, such as Nike, Jordan Brand, L.A. Lakers, and Bubba Watson connect on a deeper more intimate basis with their target audience. 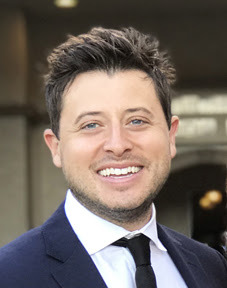 As Executive VP, Marketing for Sacks Parente, Zerah will be responsible for the direct development and implementation of the Sacks Parente brand and marketing strategies as well as new and existing products and will oversee the implementation of the marketing strategy – including campaigns, events, digital marketing, and PR. An expert digital media strategist, Zerah is also the former Founder and CEO of Lucid Appeal, the premium fan engagement platform which powers mobile apps for the world’s top sports teams, brands, and athletes. He built Lucid Appeal from the ground up and successfully sold the company to OneUp Games, LLC, a tech company that provides mobile sports platforms. He is a graduate of the University of Southern California Marshall School of Business. All Sacks Parente putter designs feature the company’s patented Ultra-Low Balance Point (ULBP) technology that lowers the balance point along the shaft between the sole and a point not more than 5 inches above the sole, causing the putter head to square and release at impact, delivering exceptional rollout and accuracy. In addition, all Sacks Parente putters maximize MOI by combining the use of ultra-light weight alloys and high-density tungsten, to significantly move more weight from the center of the putter to the heel and toe. The company has numerous patents and patents pending in regard to the science associated with these exceptional putters, which are available in both Player and Tour Models.